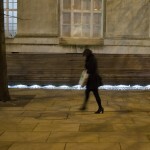 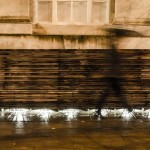 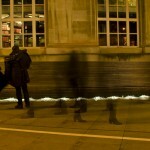 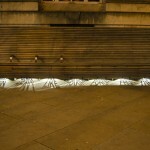 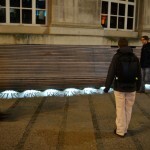 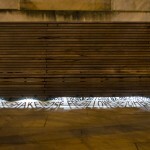 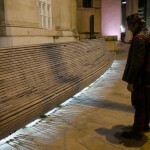 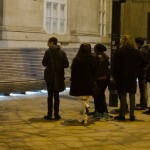 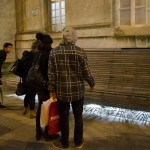 The Stories Under Our Feet are ephemeral light and text artworks trimming the edges of the Manchester City Library benches. 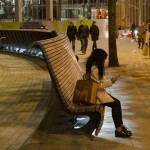 Short observational poems drawing on changing weather and seasons to create moments of contemplation for people walking by or sitting on the benches. 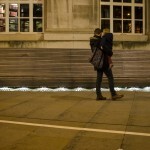 Supported using public funding by Arts Council England and first exhibited at Enlighten Manchester Festival of Light and Sound Art 2015. 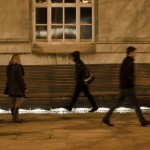 All photos by John Lynch.